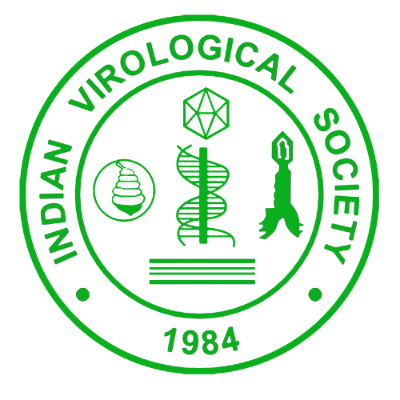 The Indian Virological Society (IVS), a member of International Union of Microbiological Society (IUMS), was established in December 1984 at Haryana Agriculture University, Hisar, with the objective to promote research and development in the ﬁeld of virology. It is a unique scientific body that provides platform for those associated with the characterization and management of viruses affecting Animal, Human, Fish, Insect, Plant and other living organisms. The Society also organizes National and International Conferences, Trainings, Seminars, Workshops, Invited lectures, Academia-Industry-meet, etc. The Society also recognizes the outstanding contributions of the individual members by electing them as Fellows of the society and conferring lifetime achievement awards, Springer Nature-IVS Best Publication Award and Young Scientist awards. The society has close collaboration with the World Society for Virology which is emerging as a leading world forum for addressing problem related to cross boundary viral epidemics. IVS publishes an internationally reputed journal “VirusDisease” in collaboration with Springer Nature. The Journal was earlier (1985-2013) know as Indian Journal of Virology. The journal is Broad base in the sense that it is covering both basic and applied research on viral disease problems. Last year the journal receives the manuscripts from the researchers working in as many as 32 countries and the journal is globally distributed through the Springer Nature network. It has already been indexed in SCOPUS, EMBASE, Google Scholar, CSA, CAB International, CAB Abstracts, Global Health, IBIDS, Indian Science Abstracts, OCLC, Summon by Serial Solutions. The society also publishes a biannual Newsletter “Virus Research News”. The objective of the Newsletter is to provide information on the latest developments in virology, news about IVS activities and other connected events. It contains interesting sections like, Research News, virology news, recently held conference, Forthcoming Publications, Awards etc. which provide a precise knowledge to readers about the IVS activities. At present we have 500 active members. To promote the exchange of scientific information, discussion and interdisciplinary collaborations amongst researchers/academicians active in the field of virology nationally and internationally. To secure and manage funds and endowments for the promotion of virology research in India and abroad. To promote and publish journal, newsletter, books, technical bulletins etc. for the advancement of virology. Dissemination of knowledge for policy makers and experts in the area. To organize national and international conferences, workshops, trainings, lectures on different aspects of virology in India and abroad. Inviting international scientists of eminence from aboard for the promotion of virology.